Our chairman Musheir Al Farra will speak – join the PSC contingent. 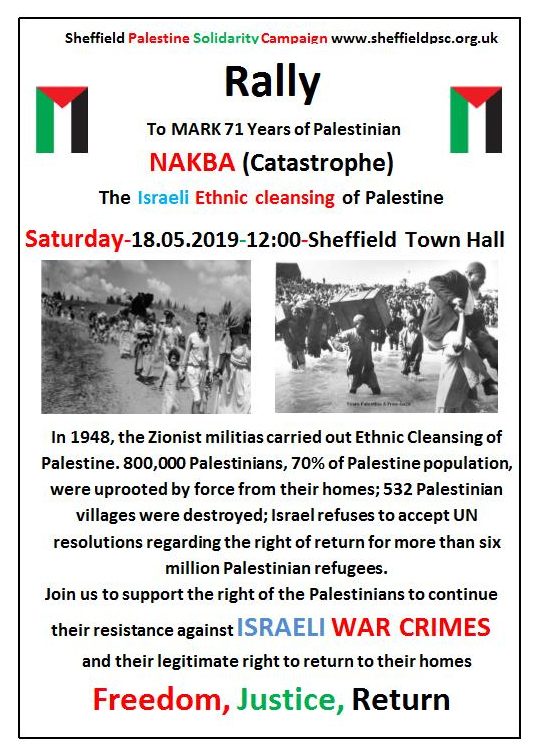 Two weeks after May day protest, join us to protest against Nakba, the ethnic cleansing of Palestine. 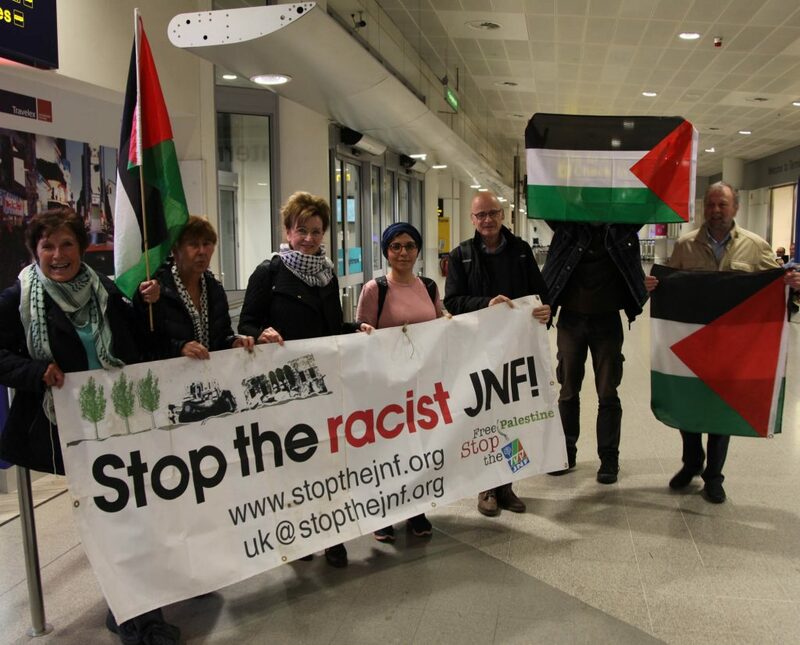 Kholoud al Ajarma joined a small welcoming committee at Manchester Airport. 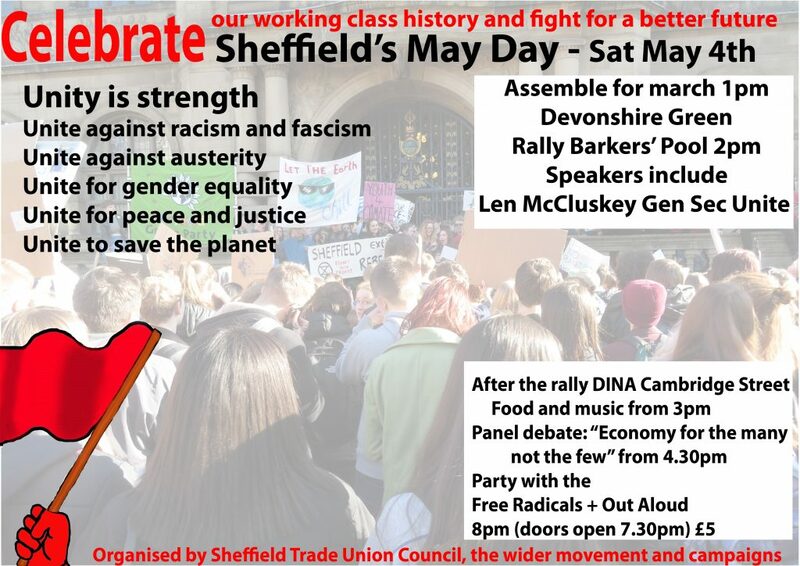 She will speak in Sheffield on Sunday 4pm Showroom. 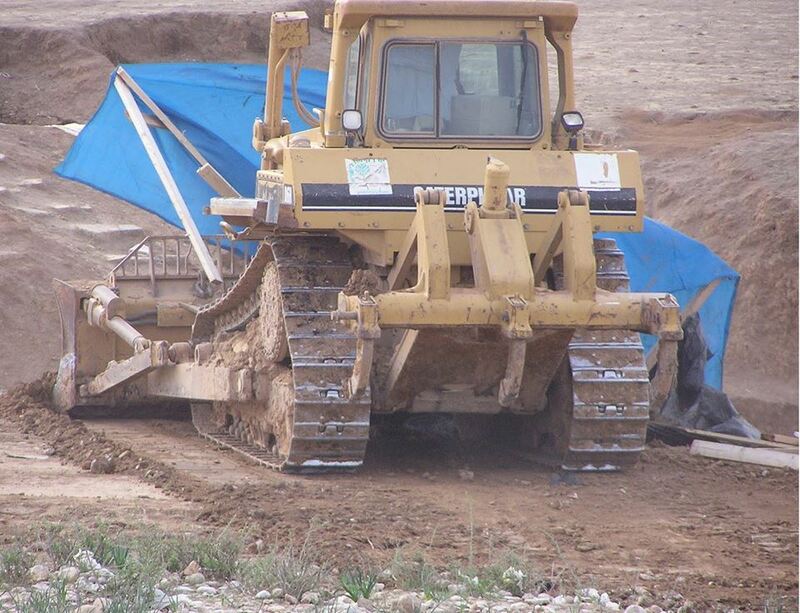 This is a Jewish National Fund tractor destroying part of El Araqib. The JNFUK is a British Charity. Come to the meeting Sunday 31st March, 4 pm at the Showroom to hear the argument why it should lose its charitable status. This is Sundus Azza. 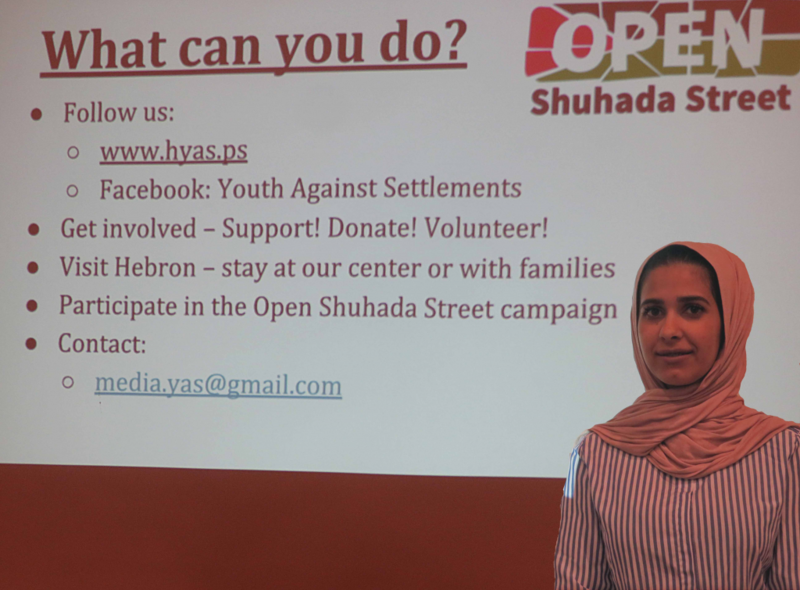 She is from the campaign to open Shuhada Street. 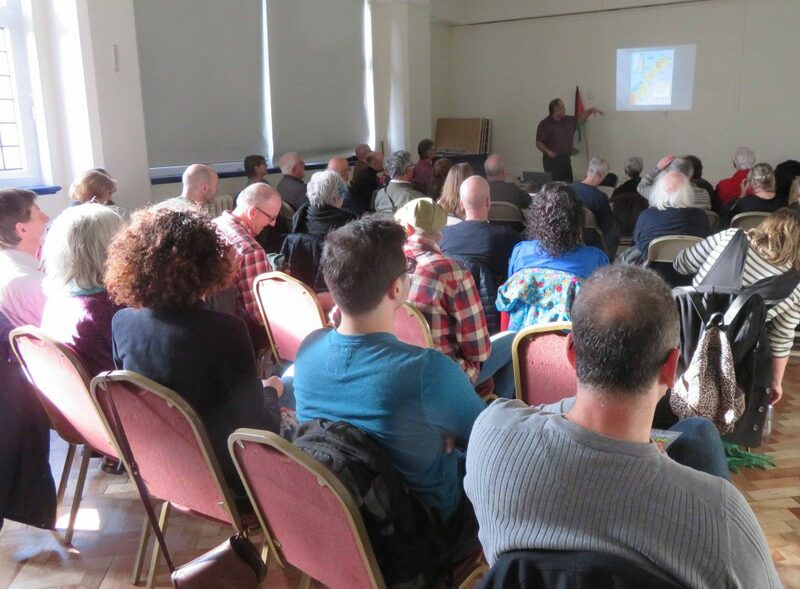 At a meeting in Sheffield on Tuesday she described the daily humiliations and provocations caused by a small group of Zionist settlers defended by 2,000 Israeli soldiers. Hebron is the most populous city in the West Bank, Shuhada Street was the main market area. In 1994, an American Zionist Goldstein murdered 29 Muslims at prayer. Palestinians demonstrated, Israeli military stepped in. The road has been closed to Palestinians ever since. In a dignified calm voice she described how she was attacked by a settler Zionist, then arrested by the Israeli military for the incident. One Israeli settler killed a Palestinian, unusually he was found guilty and sentenced to 18 months in his house. The people of Hebron face rubber bullets, arrest, violence, and even bullets. See more here. Her powerpoint is here. 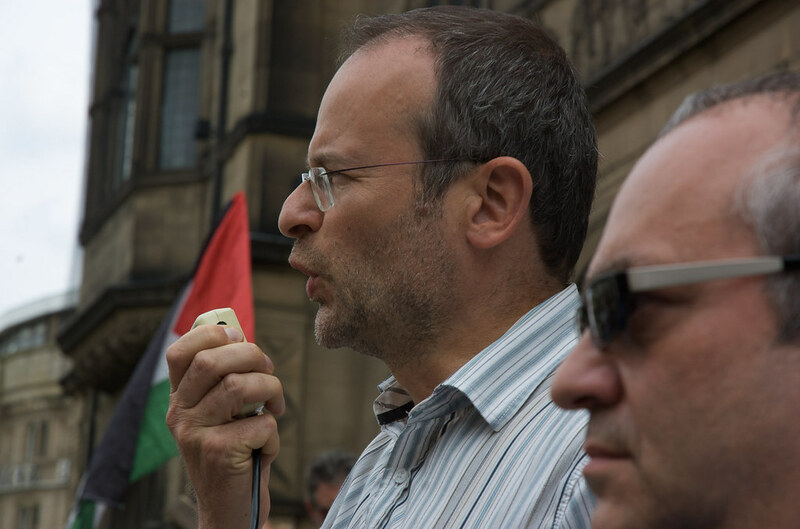 Brother of Sheffield based activist Shahd Abuslama, Majed , and two other activists are facing a trial for disrupting a representative of the Israeli state and exposing her complicity in Israeli war crimes and crimes against humanity in #Palestine. 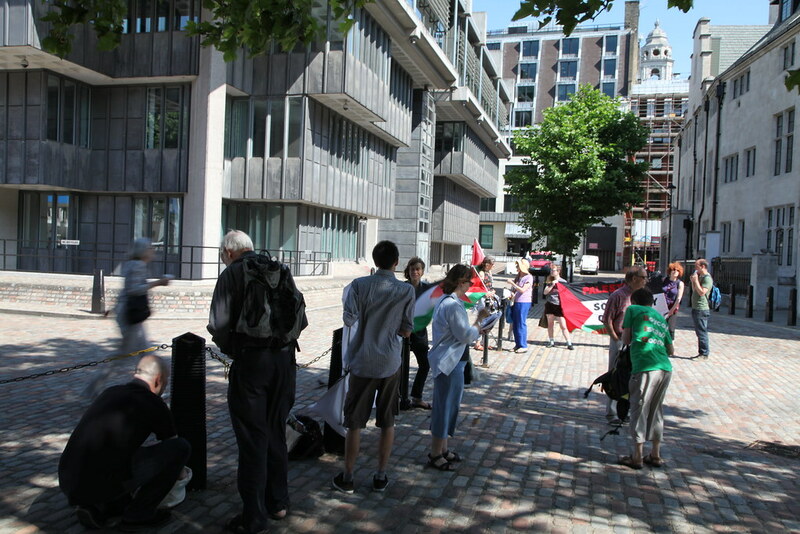 A great demonstration of solidarity from this magnificent crowd who joined this public court hearing at 8 am to make it loud and clear: Enough with silencing the Palestinians’ cries for justice! 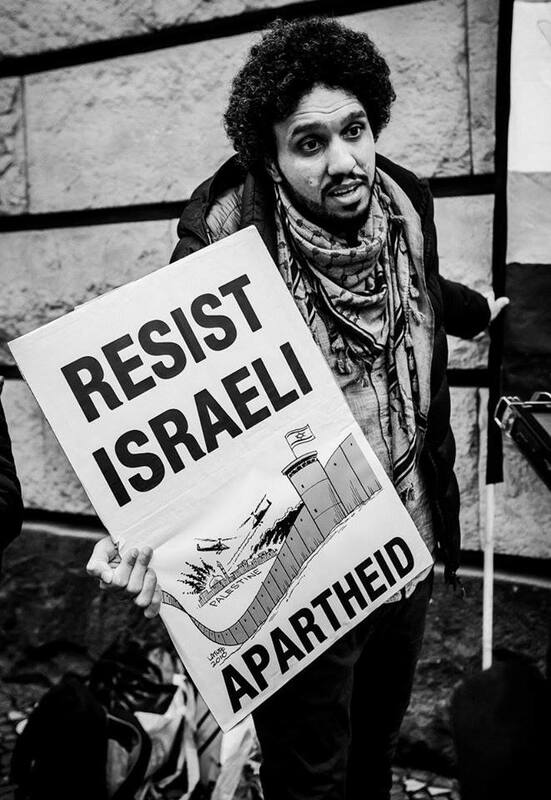 The whole world should be concerned that anti-Racist activists are being put on trial for standing on the side of a people facing the only remaining colonial and apartheid regime in our modern history, not those racists maintaining this criminal colonial occupation and apartheid. Israel cannot continue committing crimes against humanity in daylight with impunity. This cycle of impunity, ongoing since the ethnic cleansing of Palestine in 1948, needs to be broken. It’s long overdue but time to hold Israel accountable! Why cannot they see they are putting the wrong people on trial? 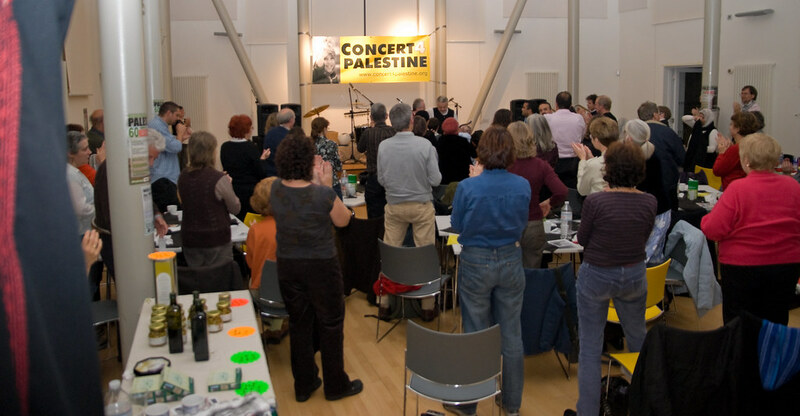 Some of our most active supporters were away this weekend, at a Boycott Israel Network conference. So we were very pleased with the turnout at the protest at the HSBC Bank. 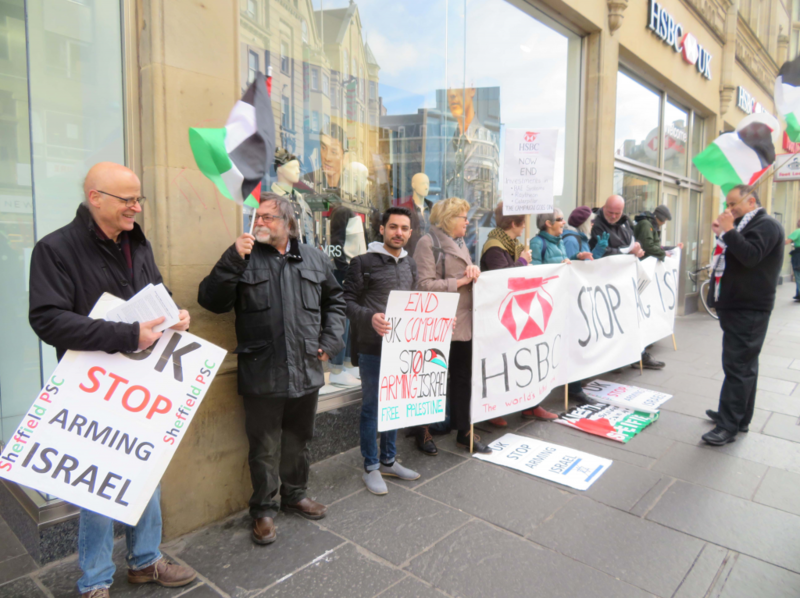 HSBC makes money from the arms industry and helps arm Israel. 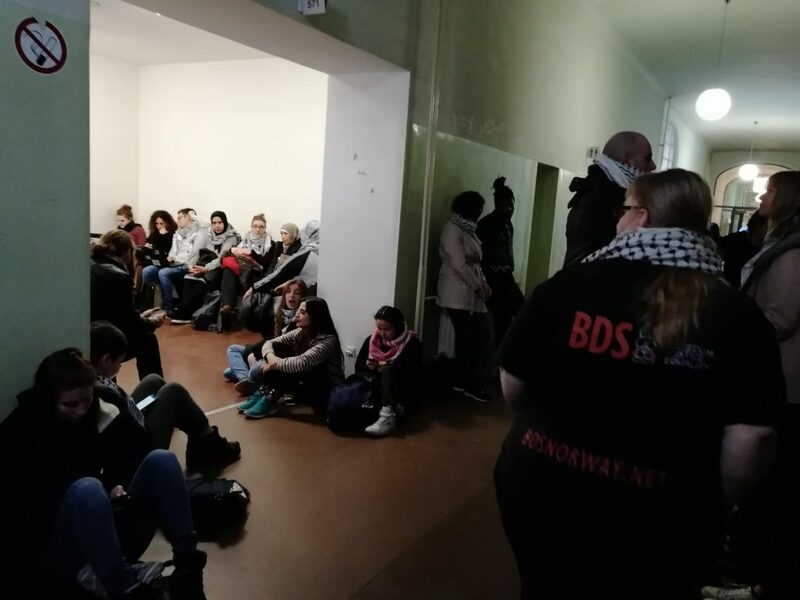 On Saturday 16 th February, Musheir El Farra gave a report back on his visit to Gaza. 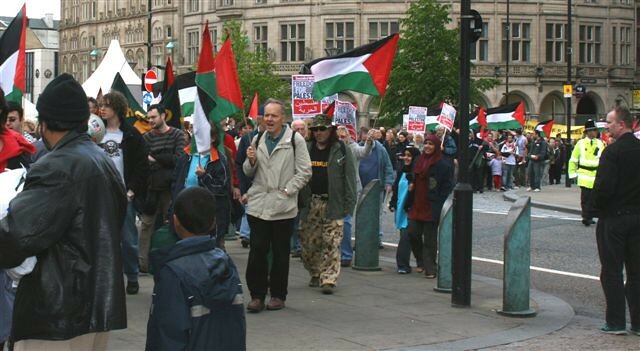 He reported back on Sheffield’s PSC supported children’s projects in Gaza and the most recent project the healing centre in Khuza’a. He also described how the great powers in the region and the USA were trying to undermine the basic rights of Palestinians including the right of return. We had booked the Choir Room but it was too small for the 40 plus audience. Musheir was well received. A huge amount of effort went into the creation of a healing centre in Gaza. 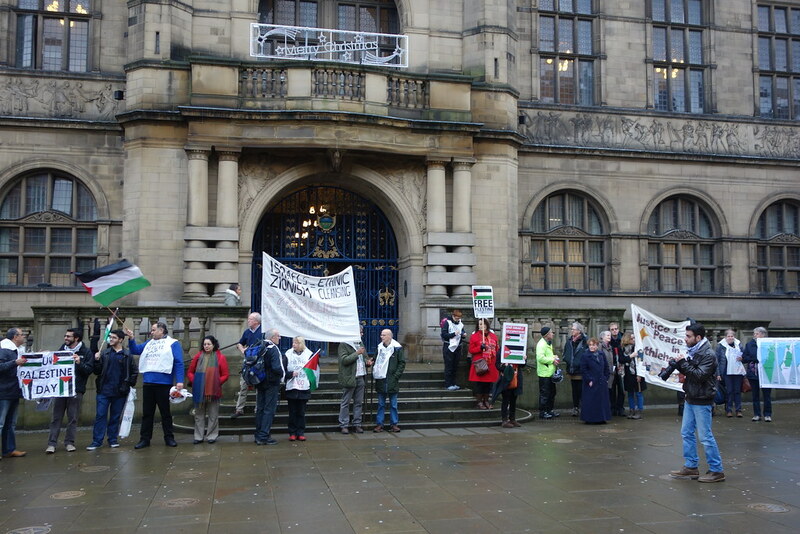 The Yemeni community, Sheffield PSC, Chesterfield PSC, Manchester PSC and many others. The land was acquired, and the building is now completed. This is a great achievement. 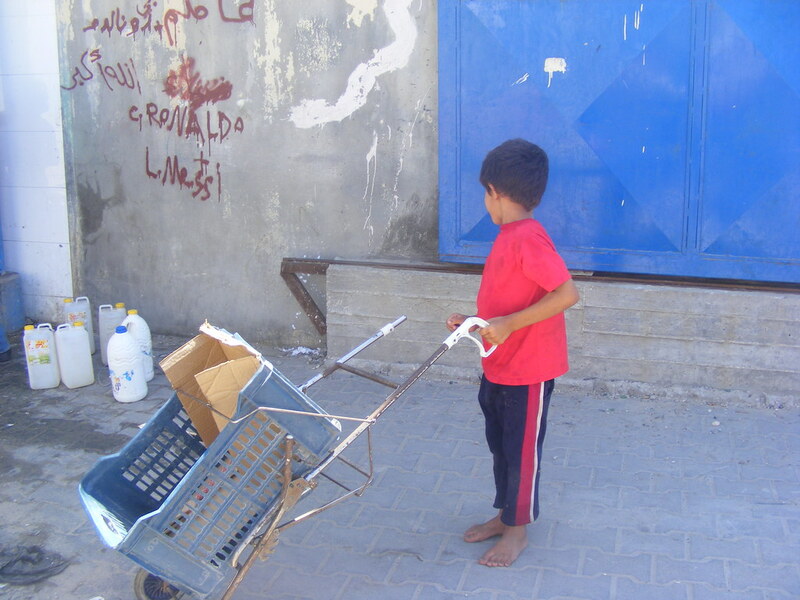 Our chairman Musheir El Farra has just got back from this and our other projects in Gaza. He will give a report on these and the political situation at this important meeting.